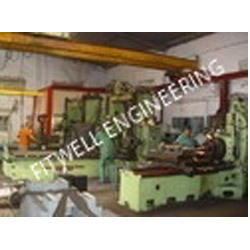 Various In house Machines for machining facilities with Conventional & CNC machines. 1800 RS PER SPINDLE FOR 288 SPINDLE MS MACHINE. IN THIS MACHINE ONLY 144 SPINDLE MAKE PRODUCTION. We take pleasure in introducing ourselves as leading firm by providing MS Machine Job Work. Being a noticeable firm of market, we are MS Machining Job Work. This service is handled by experts who use advanced technique to render this service as per customer’s demand. In this service, we use advanced printing machines.